Anesthesia (intraligamental, plexus or conductive) provides completely harmless procedures within the mouth. Each patient gets anesthesia which suits him best. Minimal doses provide maximum effect. Surgery solves incurable teeth, prepares for implanting therapy, corrects the anomalies, etc. Implantology is a branch of oral surgery and an ideal solution in some cases. 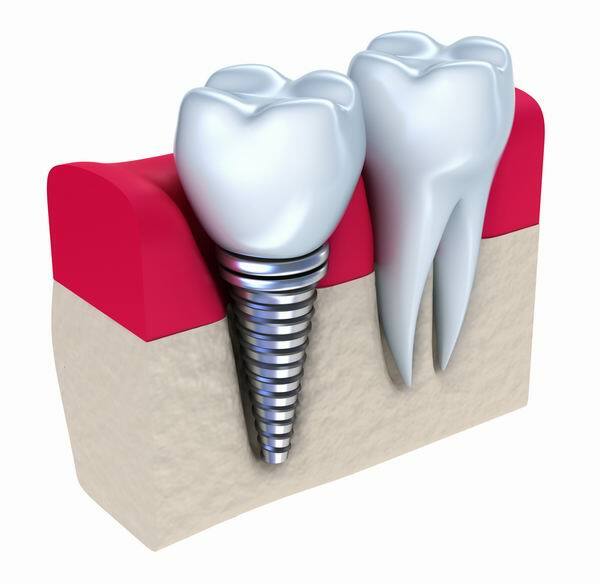 Metal implants (titanium) are put instead of the root. After the tying of the bone with the implant occurs, the ceramic tooth is put on the implant. The functioning as well as the aesthetics of the lost tooth are brought back completely this way. There are numerous possibilities in solving problems with the implants.